Artificial intelligence (AI) strategies becoming a necessity and an increase in both action-oriented analytics and explainable AI that makes people more comfortable with the technology are three of the top 10 enterprise analytics trends to watch this year, according to executives at MicroStrategy and IT and services company Advertisement. We’re seeing “trends around AI and machine learning…that are top of mind and businesses are looking to employ these techniques to race forward and beat their competition,” he noted. Of the first challenge, he said: “The amount of data being created is growing 40 percent annually.” He pointed to IDC’s prediction that, by 2025, there will be about 175 zettabytes of data (up from 33 zettabytes). Organizations want to “find opportunities” with that growing amount of data, he said, predicting: “Twenty percent of the data will be created in real time and 95 percent of real-time data will be generated by” Internet of Things (IoT). Meanwhile, “the disruptive rate of change is putting enormous pressure on organizations to innovate and respond quickly to competitive, market and technology shifts,” according to Anand. “From a technology standpoint, there’s big data, augmented reality, cloud,” he said. Although 86% of organizations claimed “the ability to extract new value and insights from existing data and analytics applications is very important to their business’s future,” he noted that “only 30 percent are currently very effective in doing so,” so there’s an “opportunity” that still remains. Of the “untapped value” that still exists, he said more than 80% of enterprises indicated that more than 75% of their employees “do not have access to company data and analytics.” But this is happening at a time when “everyone expects easy, transparent, real-time and contextual experiences … every minute of every day – even at work,” according to Anand. Turning to the top 10 trends, he cited Forrester Research analysis that the data mindset has moved from visualization to outcomes, while “leading enterprises have shifted their data sensibilities to action-oriented insights.” Citing Forrester Analytics data, Anand said 57% of global data and analytics decision makers are still at the early stages of their insights-driven business transformation, while only 8% demonstrate advanced insights-driven competencies. “The data economy will fail without a ‘fail fast, succeed faster’ mindset’, MicroStrategy said in an accompanying report that cited Forrester’s insight. Business insights professionals have to become data storytellers as the mindset changes from “data and analytics untethered to outcomes to become action-oriented analytics that helps enterprises win,” MicroStrategy said. The second major trend to keep an eye on in 2019 is “open black box in AI and augmented analytics,” according to Ronald van Loon, a director at Advertisement. AI and machine learning are “really changing the way we work and we live and how we interact with the world around us,” he said. But he pointed out that many people still have a fear of AI systems because they see them as black boxes that gather lots of data, but they often don’t understand what decisions those AI systems make are based on. 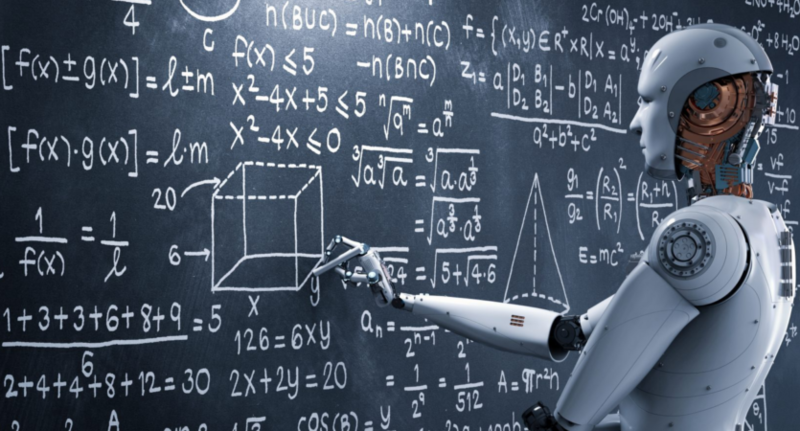 “Explainability is really crucial to establishing” trust for AI systems and “to ensure that people are comfortable with AI-generated decisions,” van Loon said, adding: “Explainable AI gives people a feeling of control and helps you to remove this trust barrier” that exists and often makes AI implementation harder. Pointing to the growing necessity for AI strategies to be implemented, van Loon said: “Basically every company is becoming an AI company in the future” and “it’s only a matter of time before AI will transform your industry as well.” AI adoption is “gaining momentum” across multiple industries already and “there is an acceleration” being seen, he said. The other top 10 trends for 2019, according to MicroStrategy and several third parties it cited, are: Self-service analytics increasingly shifting to self-evident analytics through Hyperintelligence, while a growing amount of information that people want becomes available to them through natural, “zero-click real-time experiences”; increased embedded analytics enables success in the digital economy; more leaders bringing advanced analytics into production at scale; collaboration with analytics and collaborative decision-making grows; pervasive mobility bolstering business success; a growing need for leaders to take the best steps today to ensure future success; and an acceleration in the evolution of analytics.